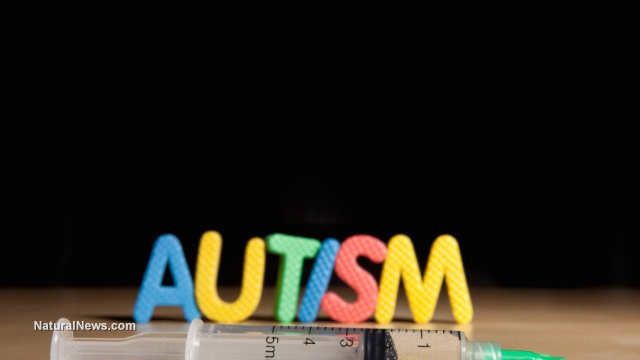 (NaturalNews) The UK is facing an unprecedented number of new autism cases, according to new research. Figures in Scotland, which are among the most comprehensive available in the British isles, reveal that the autism rate among students at Scottish schools is up 1,360% percent since 1998, with no perceivable end in sight. The same study that procured these figures for the UK found that the situation is far worse in the U.S. Between the costs associated with treating both children and adults with ASD -- more than 3.5 million Americans, both young and old, have been diagnosed with ASD -- taxpayers and insurance companies spend huge amounts to treat autistic individuals with or without intellectual disability. "The cost of supporting an individual with an ASD and intellectual disability during his or her lifespan was $2.4 million in the United States and £1.5 million (US $2.2 million) in the United Kingdom," reports the study. "The cost of supporting an individual with an ASD without intellectual disability was $1.4 million in the United States and £0.92 million (US $1.4 million) in the United Kingdom." "The largest cost components for children were special education services and parental productivity loss. During adulthood, residential care or supportive living accommodation and individual productivity loss contributed the highest costs. Medical costs were much higher for adults than for children." This translates into a total cost of $7 trillion to treat every person with autism in the U.S. over the course of his or her lifetime. And this is just at the current autism rate -- over the next several decades, as many as one in two children are expected to have autism, which portends a complete collapse of the healthcare system.